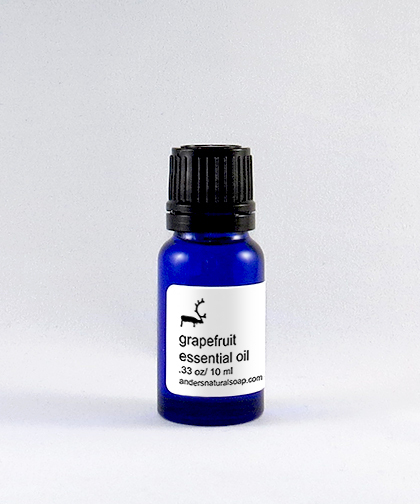 GRAPEFRUIT: Cold pressed from the peel of the Grapefruit, this essential oil has a light and fresh aroma. Naturally astringent, it is toning and revitalizing to the skin. High in antioxidants and vitamin C, Grapefruit has been known to help prevent certain types of cancer, fight the common cold and even repair DNA. This light fresh scent is a favorite of many. Cold pressed from the peel of the Grapefruit, this essential oil has a light and fresh aroma. Naturally astringent, it is toning and revitalizing to the skin. High in antioxidants and vitamin C, Grapefruit has been known to help prevent certain types of cancer, fight the common cold and even repair DNA. This light fresh scent is a favorite of many.